By employing a unique equalization mechanism. The first in industry to achieve 98% efficiency at single reduction, 95% at double reduction and 92% at triple reduction. Design flexibility: optimum reduction ratios by combining standard units. With units available in many ratios, sizes, and materials, Matex gears can be used singly or in combination to meet virtually any reduction requirement. First in the industry to achieve a 98% efficiency at a single reduction and a 95% at double reduction, our team is ready to work with you in specifying the right gears for your application. 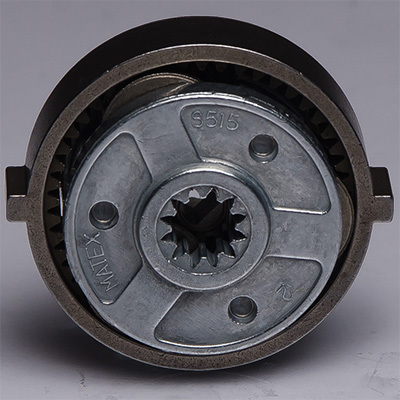 Matex Products was incorporated in 1980 and is a distributor of Matex planetary gear systems.We are available to assist you with any questions you may have and to help recommend the correct gearing for your application. Call us at 800.676.2839.